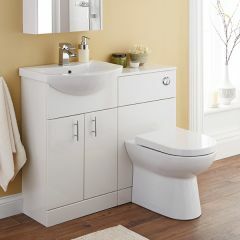 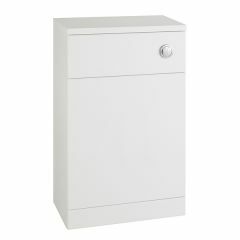 Finished in a white high gloss, the Jubilee basin cabinet and Jubilee WC unit are both stylish and practical. 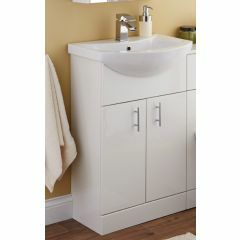 The basin unit is a space-saving solution for a small bathroom, complete with storage for all your toiletries. 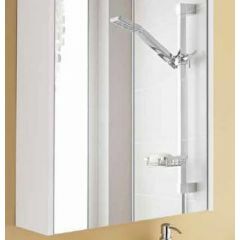 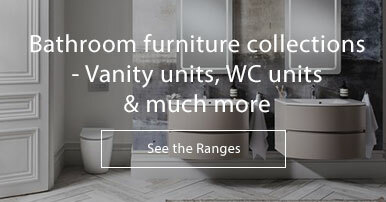 Select a back to wall pan of your choice to couple with your WC unit, and you have all you need for your cloakroom or en-suite. 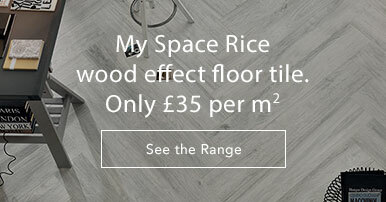 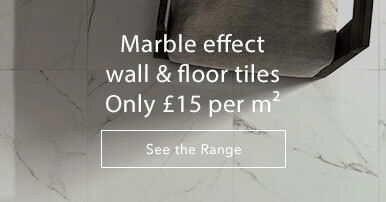 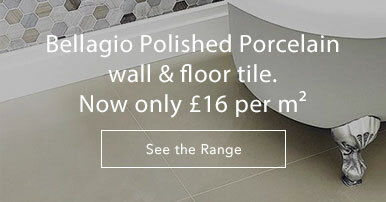 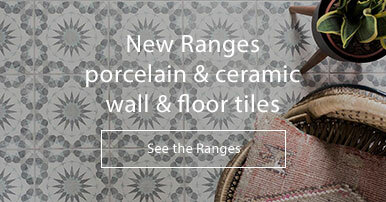 Shop at Tiles and Bathroooms Online for the best service, with discount prices and free UK delivery. 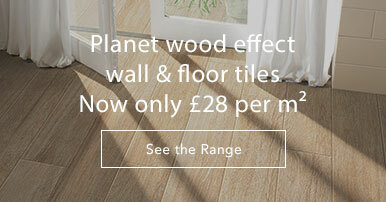 Give our Sales Team a call on 01234 324592 for information or advice.